Showy penstemon combines well with other drought-tolerant, sun-loving native plants like Firecracker flower (Ipomopsis aggregata), Wooly sunflower (Eriophyllum lanatum var. integrifolium), Woolly mules ears (Wyethia mollis), Nuttall’s linanthus (Linanthus nuttallii), and Sulphur buckwheat (Eriogonum umbellatum). I’ve seen bees pollinating the flowers. So far I have never noticed hummingbirds visiting this plant, but perhaps it’s because the flower spikes of the plants in my garden tend to grow almost horizontally to the ground. 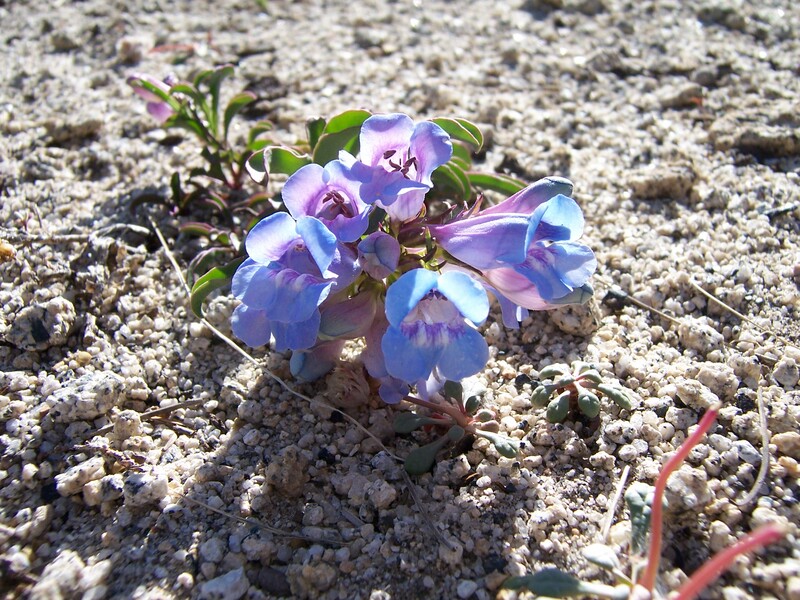 This penstemon does not need any supplemental watering, but during very dry summers, when we get no thunderstorms, I will give them one watering while they are in bloom to extend the flowering period slightly. 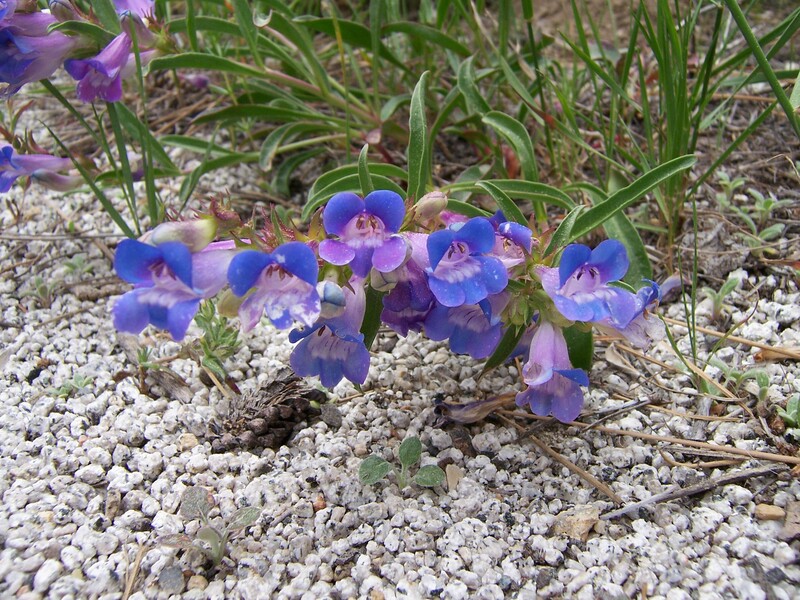 Penstemon speciosus is fairly easy to start from seed in pots. Cactus mix or standard potting soil (no manure) mixed with some perlite or pumice works well. I sow the seed in the fall about a quarter of an inch under the soil, then top up the pot with another quarter inch of pumice. If you direct sow the seed, do so in the fall as well. Like most natives, the seeds of this species need a cold period to germinate. Cuttings of this plant root fairly readily in perlite. Dip the ends of the cuttings in rooting hormone before placing in the perlite. 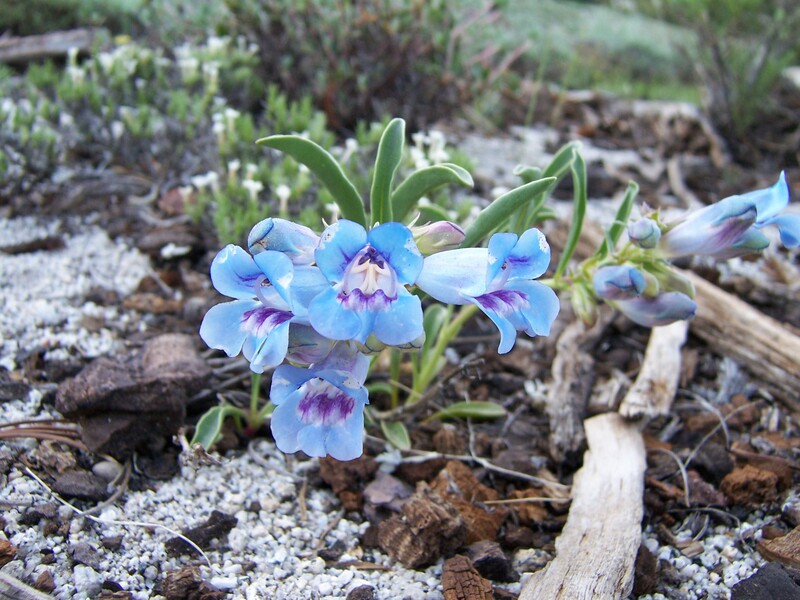 Most plants begin blooming in their second or third year. All in all, a lovely, carefree native plant. The photos below were taken near Monument Pass and the Tahoe Rim Trail in South Lake Tahoe. Check out those turquoise flowers!